A natural born skeptic, I live by the “if it sounds too good to be true…” motto. Just because everyone loves a new anything, this is my cue to question it first, especially if it’s editable or topical. So when BB Creams (beauty balm) began hitting the US market in 2011 and everyone raved, I was skeptical. While the major selling point was the products are an all-in-one to save steps and time I still wasn’t sold. Does it cause a negative skin reaction? If I’m allergic to a product it’s a deal-breaker. I’ve had situations where initially the product didn’t cause a reaction only to find out later it didn’t work for me. Is it easy to apply? I’ve had cream, liquid and pancake foundation formulas some of which were a pain to blend in evenly. On an occasion or two even after testing the foundation I would end up with a formula that I didn’t like. When you lose your sight, many things become challenging and I for one prefer my make-up to be one less challenge. Ease of application is a MUST. Does it give me good results? Depending on several factors like humidity or my skin’s condition, if the foundation is too sheer it won’t give me the desired coverage. If it’s too heavy and I can feel it on my skin or if it doesn’t properly match my skin tone then I either change the formula or the brand. BB Creams, technically known as blemish balm or blemish base, is a multi-tasking product that has skin care and coverage properties. Many consider this all in one cream a tinted moisturizer that works as a primer, concealer, and protectant. While overall the benefits of BB Creams seem to outweigh the negatives there are some tips that could ease the application process. For example, at the moment the range of shades/colors are more applicable to light and olive skin. For darker skin, one could add a little foundation to the cream to achieve a blended look. Since BB Creams are somewhat thicker in consistency than regular moisturizers you might want to use a moisturizer prior to applying the cream. My first BB Cream (Missha M Perfect Cover B.B. Cream SPF 42 No. 27) is okay but it’s a thick consistency. Since this is a new product for me I’ll consult with one of my friends to see if I’m applying it for proper coverage. Because this is a new product for me, there will be a learning curve. I’ll have to give it some time to learn an application process that works best for me. 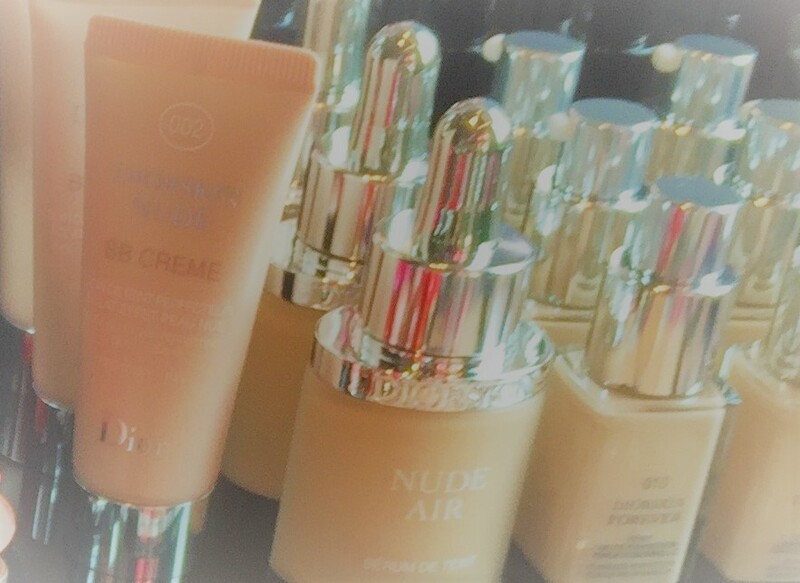 Slightly blurred photo of several bottles of BB creams. I’ve never tried any of the BB or CC creams. I use a good moisturizer and mineral makeup powder because I think it looks the most natural. I am currently on the hunt for a product that will effectively fade a few age spots but no luck so far. Yes, I’m partial to mineral powders as well. The two I’ve tried are Sheer Cover (love this) and Mary Kay. I tried Avon’s brand and wasn’t crazy about it but it could’ve just been I didn’t get the shade correct. I will definittely be stopping by your blog on a regular basis.